Stairs are not only a way to get from one floor to another in the interior of the house. They can also serve an excellent interior decoration. In its shape, the stairs can be straight, L-shaped, U-shaped, screw, floating, installed on a concrete or metal base, etc. Stairs are made according to individual projects, so the materials, colours and shapes are adapted individually for each particular area. 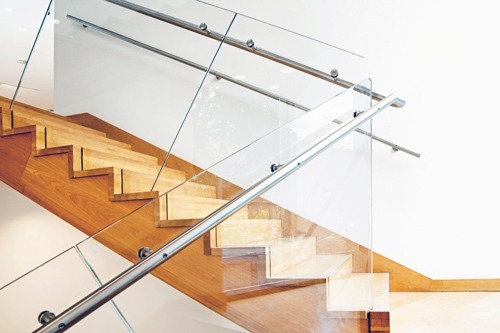 By combining steel, wood and glass, the staircase will not only combine two spaces but also give you the feeling of cosiness and glamour at your home.